Why Egypt’s popular rebellion is the greatest historical event in a decade, and how Barack Obama missed the boat. I’m writing this on January 28th, 2011, at 11:53 AM Cairo time, although I’m an ocean away from Cairo. But, as someone wrote the other day on Twitter, yesterday, we were all Tunisian; today, we are all Egyptian, and tomorrow, we will all be free. So today I am writing this on Cairo time. 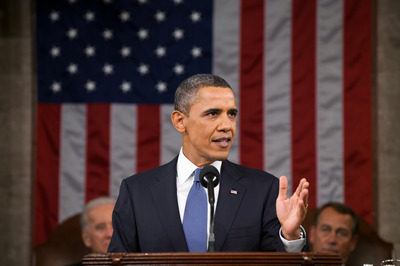 Three days ago, I read Barack Obama’s State of the Union address. He delivered it on the same day that the #Jan25 protests began in Egypt. I was dismayed that he didn’t mention the protests at all, because they’re more important than almost everything he did mention. This essay is an attempt to explain why they are so important, why Obama ignored them, and what the possible results of that choice could be. For readers who don’t know much about Egypt, like most Americans, here’s my attempt to sum up a country of 80 million people in three minutes. Egypt is not a republic, any more than the People’s Republic of China is. Egypt is a brutal dictatorship, governed by the same dictator since 1981, 29 of those years under state-of-emergency regulations. That dictator, Hosni Mubarak, was the vice-president of the previous dictator, Anwar Sadat, who in turn was the vice-president of the dictator before him, Gamal Abdel Nasser, who had held absolute power since 1956. Egypt has been under one-party rule since 1952, and although the ruling party has changed its name several times, it has never yielded its power. Egypt has gradually declined in influence and quality of life throughout Mubarak’s reign. Some opposition parties are now formally allowed. They currently hold 3% of the Egyptian parliament. All influential opposition parties are banned, and the press is heavily censored. Mohamed ElBaradei, an Egyptian who won the Nobel Peace Prize for his work fighting nuclear proliferation, moved to Vienna so that he can find reporters willing to talk to him. Egypt is desperately poor. The majority of the country depends on the bread dole for survival. Egypt is one of the countries where the US would ship prisoners to have them beaten, electrocuted, and raped by the Egyptian police for years, as a means of interrogation. (Abu Omar and Ahmed Osman Saleh are two of the best-known cases.) Indeed, its reputation for torture was so well established that it was the first US ally selected for this “extraordinary rendition” program. The Egyptian police are famous for their lack of controls. Last year, Khaled Said was sitting in an internet café; a couple of policemen came in and demanded to see everyone’s ID, which is against Egyptian law. He refused, so they dragged him outside, beat him to death, and dumped his body in the street. 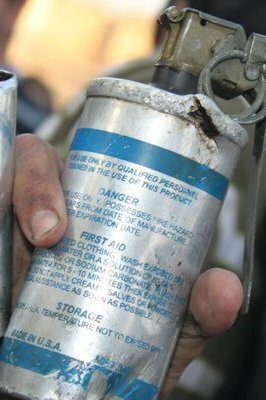 It’s also one of the top recipients of US aid in the world, much of which is earmarked for the security forces — the same security forces who are currently beating journalists bloody and shooting protestors with US-made tear gas, birdshot, and now bullets. Much of Egypt’s military, the tenth largest in the world and the largest in Africa, is actually paid for by the US. Egypt produces US-designed armaments such as the M1 Abrams tank under license. Without the political and financial support of the US, it is generally believed in Egypt that the current dictatorship would have fallen decades ago. However, as Steven A. Cook of CFR says, all those soldiers “are not there to project power, but to protect the regime.” He calls the Egyptian military “the ultimate instrument of political control.” In other words, all those weapons are bought to be used against Egyptians, not to protect Egypt. This is exactly the sort of situation that fosters non-state terrorism: a disempowered citizenry, kept in check by only the military might of an unaccountable and corrupt dictator backed by a faraway country, watching their future being destroyed one year at a time — all so that that faraway country can have a "reliable friend" to support political goals the nation opposes. This country profile fits both Saudi Arabia and Egypt, as it has for decades. And, indeed, non-state terrorism has been on the rise in Egypt for decades, and in 2001 an Egyptian flew a plane into a US building with the help of 15 Saudis and a couple of guys from other countries. We have not begun to see the end of this. US elites believe that crushing the Egyptian people’s dreams of opportunity and justice, year after year, is a worthwhile price to pay for having Egypt as an ally in the region. Understandably, US elites are not very popular among Egyptians. 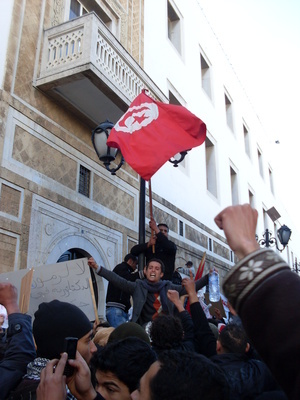 Last month, there was a Tunisian revolution. It started when one Mohamed Bouazizi, of Sidi Bouzid, committed suicide. There’s 30% unemployment in Sidi Bouzid. At 26 years old, he was eking out a living as a fruit vendor, one of a series of marginal jobs he’d been working since he was ten years old — until a police officer slapped him in the face, spat at him, confiscated his fruit cart and electronic scales, and beat him. So he burned himself to death in protest. This sparked mass protests by the Tunisian people, and after a month, the 23-year rule of Tunisian dictator Ben Ali ended, and he fled the country. This was the first successful popular Arab uprising in history. Even as I write this, the new government is still reshuffling; yesterday, six ministers left over from Ben Ali resigned from the cabinet. It is possible that the new government will still not be truly democratic, but it seems likely that protests will continue to make the country ungovernable until there is at least a credible promise of improvement. The Tunisian dictatorship had been considered stable and a steadfast ally of the US government, to the point that it, like Egypt, accepted “extraordinary renditions” from the US government for torturing. There’s a lot of debate about what made this revolution happen now and not at some time during the previous 23 years. Perhaps the economic situation finally got bad enough; perhaps it was the Al-Jazeera coverage; perhaps a critical mass of Tunisians had access to Twitter and Facebook to organize; perhaps US embassy cables leaked via Wikileaks sparked new anger, or made Tunisians realize that their dictator’s backing from the US government was weaker than it had appeared. Whatever it was that happened in Tunisia, Egypt has been following suit. The story I mentioned earlier, of Khaled Said, has been a rallying point. On January 25th, Police Day, almost a hundred thousand people protested in the streets — mostly peacefully. This was the biggest protest since 1977, when Sadat cut off the bread dole. There were mass arrests, but only of a few hundred people. A policeman was killed by a thrown rock, and several protesters were killed. The government illegally and erratically blocked the web sites of Twitter, Facebook, Bambuser, the opposition newspaper Dostor, and other services. The Muslim Brotherhood, the strongest opposition party (one of the illegal ones), didn’t participate in the protests. One freelance Al Jazeera news cameraman survived being shot by the police with 11 rubber-coated steel bullets, which were surgically removed over the following days. There was a rumor that Gamal Mubarak, the son of the dictator, had fled to England with his family. Nour Ayman Nour, the son of Ayman Nour, the leader of the El Ghad party, was arrested at from a protest, but escaped. Hillary Clinton said that Mubarak’s government as “stable and looking for ways to respond” to the protestors’ demands. On January 26th, protests continued, and activists made plans to have big protests on January 28th after prayers. Police began shooting protestors with birdshot instead of rubber-coated bullets. Hundreds of detainees were being held incommunicado with no access to lawyers. (The interior ministry said it had detained 860 people.) Hillary Clinton said that Mubarak should allow protestors to demonstrate, and “should implement reforms.” Crowds burned down government buildings in Suez and reported being “massacred”. Minister Rachid canceled his planned trip to the World Economic Forum. By January 27th, at least three more people had died. Mohamed ElBaradei returned to Egypt. Crowds stormed morgues in Suez to recover the bodies of the dead. The stock exchange halted trading for 45 minutes due to rapidly dropping stock prices. 140 protestors were charged with sedition. Ahmed Ezz, the country’s wealthiest businessman, was rumored to have fled the country. The Muslim Brotherhood pledged to participate in Friday’s protests. Crowds burned a fire station in Suez. Egypt canceled football games. ElBaradei published an op-ed entitled “A Manifesto for Change in Egypt”. A major protest is planned for the 28th, right after early afternoon prayers. On the morning of January 28th, they turned off nationwide internet access, BlackBerry messaging, and SMS, and there are rumors that satellite phones are jammed. The news media is supposedly forbidden from reporting. Ham radio and telephone systems are still in operation, including internationally. Mona Eltahawy, an Egyptian expatriate journalist, has warned that this dark curtain being drawn around Egypt is intended to conceal a massacre. The police began mass arrests of Muslim Brotherhood activists, and police started setting fire to cars for no apparent reason. Joe Biden says he wouldn’t call Mubarak a dictator. One ISP remains connected internationally, permitting banks, the stock market, and activists to reach the rest of the world. First, Mubarak could fall. The new government could be democratic, military, or Islamist. 80 million people could be liberated from tyranny. Tunisia is a tiny country with little influence. 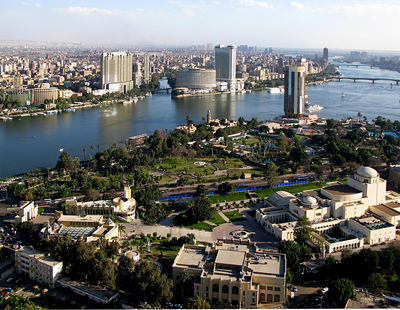 Egypt, however, is one of the most powerful countries in the Middle East and in Africa. It houses al-Azhar university; it’s the origin of many of today’s Middle Eastern political movements; and it has immense military strength. Its current government is also a key ally of the US in the region. If Egypt democratizes, it is very likely that other Arab autocrats will be overthrown by popular uprisings, too. Hundreds of millions of people could wrest back their futures from the hands of the greedy autocrats who rule them today. Because the people of the region have been living under US-supported dictatorships for so long, it is likely that any new governments will be less favorable toward the US (and Israel) than the current ones — although Egypt is probably the most severe case of this. It’s likely that such a transition would result in more violence in the short term, but less in the long term. And the influence of the US would be dramatically reduced. On the other hand, the army could massacre hundreds of thousands of people, finally putting to use all those US-made, US-funded guns and bombs. There is surely some level of violence at which the people would be cowed, even if there wouldn’t be anything left fighting for afterwards. And we saw that same desire to be free in Tunisia, where the will of the people proved more powerful than the writ of a dictator. And tonight, let us be clear: The United States of America stands with the people of Tunisia, and supports the democratic aspirations of all people. But he didn’t say a word about Egypt. Of course, actually “supporting the democratic aspirations of all people” would mean that he supports the Egyptian protestors in their efforts to liberate their nation from its ruthless dictator. But Obama’s vice-president, Joe Biden, says he doesn’t even think Mubarak is a dictator, and that some of the protestors’ demands are not “legitimate”. Obama is a first-class politician, maybe the best in the world. He wouldn’t leave out Egypt by accident. It seems that he’s simply continuing the policy described earlier, supporting the Egyptian government no matter how oppressive it is, because it might survive and he believes its support is essential. Perhaps he has calculated that any new government would likely be anti-US whatever he does, so he has nothing to lose by backing Mubarak. Or perhaps he thinks he can get away with taking no real action, and later claiming that he always supported the democratic aspirations of Egyptian people? In any case, his support emboldens Mubarak for the massacre he is planning a few hours from now. Some of the innocent Egyptian blood shed today will be on Barack Obama’s hands. It is often difficult and risky to take the side of justice, righteousness, freedom, and democracy. But those who side against them will not be remembered kindly by those who risked their lives for them. Obama has chosen cowardice and expediency over principles and honesty. And that choice undermines his stirring rhetoric much more than any sloppy choice of words could have. By Kragen Javier Sitaker, @kragen on Twitter. Added 2011-01-28: If you want to mirror this page, including the images, an easy way to do it is to download this compressed archive (4.7MB).